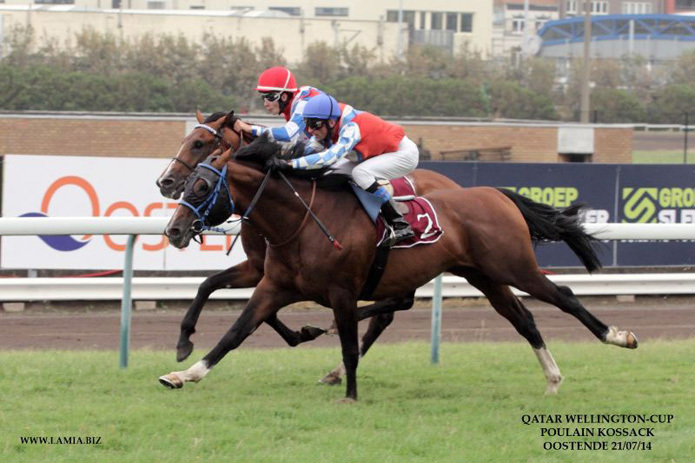 On the 21st of July, trainer and owner Huub Otermans took the first two places with winner Poulain Kossack (Nougatin x Pengalia Kossack by Bangali d’Albret) and runner-up Speed Kossack (Nougatin x Speedy V. Kossack) in the Qatar NEAR Wellington Cup at Ostende. Only a head separated the two half-brothers, while the third placed horse finished more than ten lengths behind them. Poulain Kossack is trained by Otermans and was ridden by Andreas Helfenbein, while Speed Kossack is trained by Daniel Klomp (but owned by Otermans) and was ridden by Toon van den Troost. 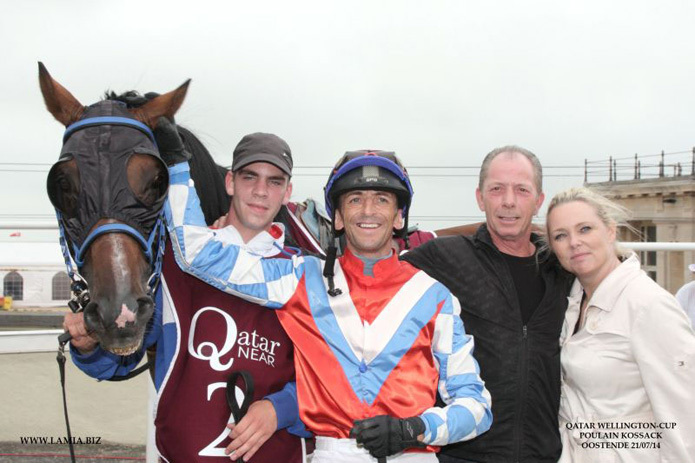 The 1800 meter Qatar NEAR Wellington Cup was worth 20 000 Euros and is part of a racing series sponsored by the Qatar Racing and Equestrian Club that takes place in North Europe, including Switzerland, Holland, Sweden, Denmark, Belgium and Germany.